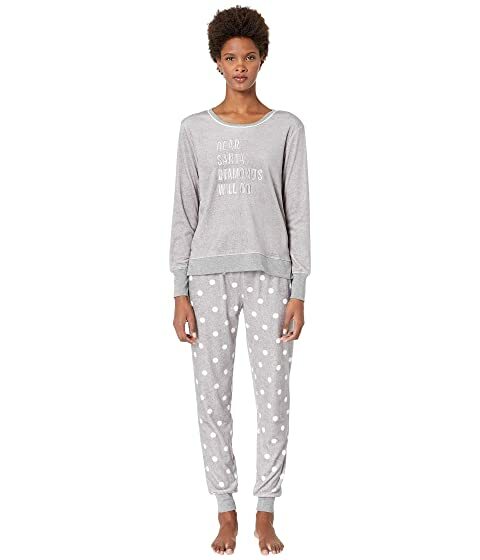 Send Santa a clear message wearing the Kate Spade New York® Stretch Velour Jogger Pajama Set. "Dear Santa Diamonds Will Do" across the front. Relaxed fit with drop crotch and polka dot design. We can't currently find any similar items for the Stretch Velour Jogger Pajama Set by Kate Spade New York. Sorry!